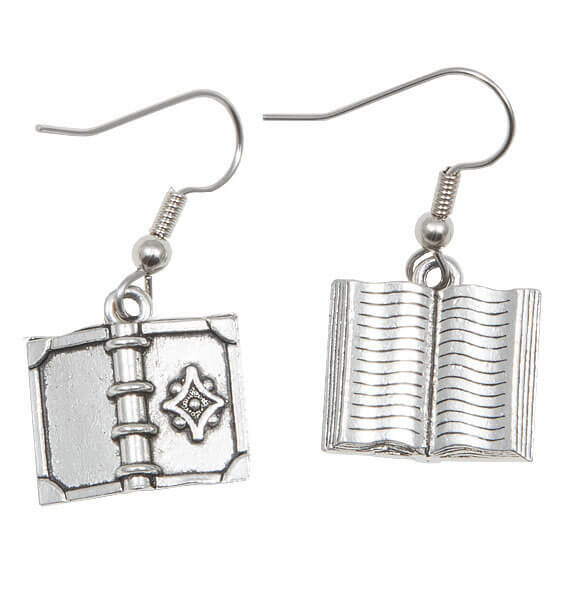 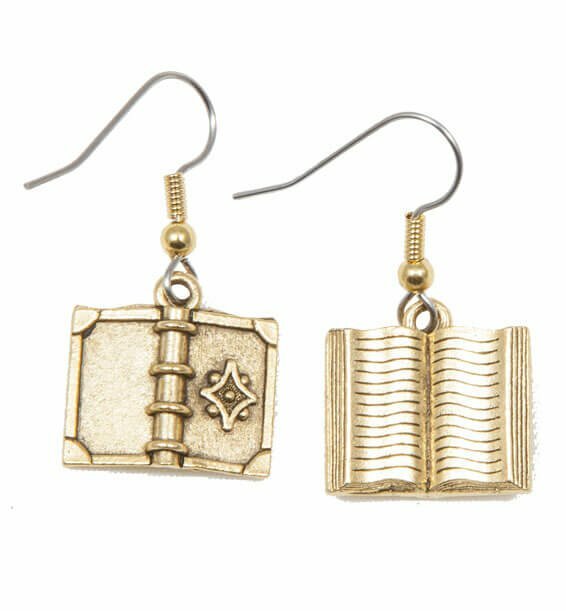 Medium Open Book Earring with Book Spine and Flower on Side. 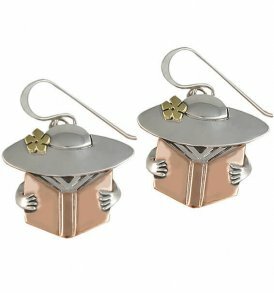 Silver Wire All earrings are a combination of German silver and mixed metals. 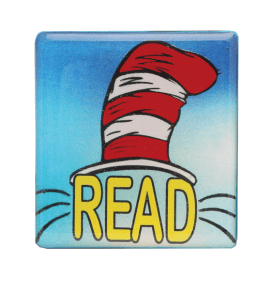 Adorable Cat in the Hat Pin Accented in Blue. 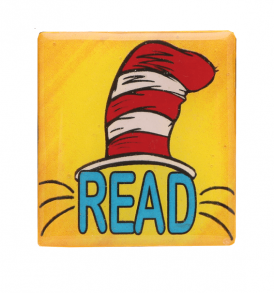 Adorable Cat in the Hat Pin Accented in Yellow. 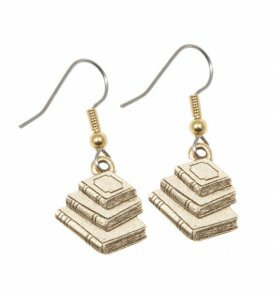 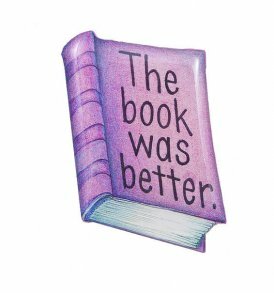 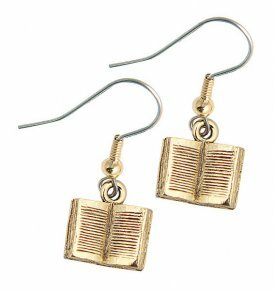 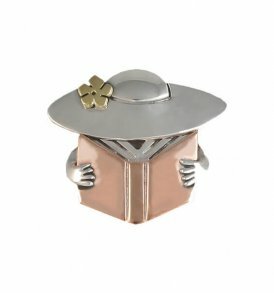 Silver Wire Our adorable book lady is made from a combination of German silver and mixed metals.